It’s hard to believe that it is time to talk about Christmas, but time flies when you’re having fun and the EI Parrotheads are always having fun!! It’s time to plan and construct this year’s TOP SECRET Parrothead float for entry in the EI Christmas Parade. 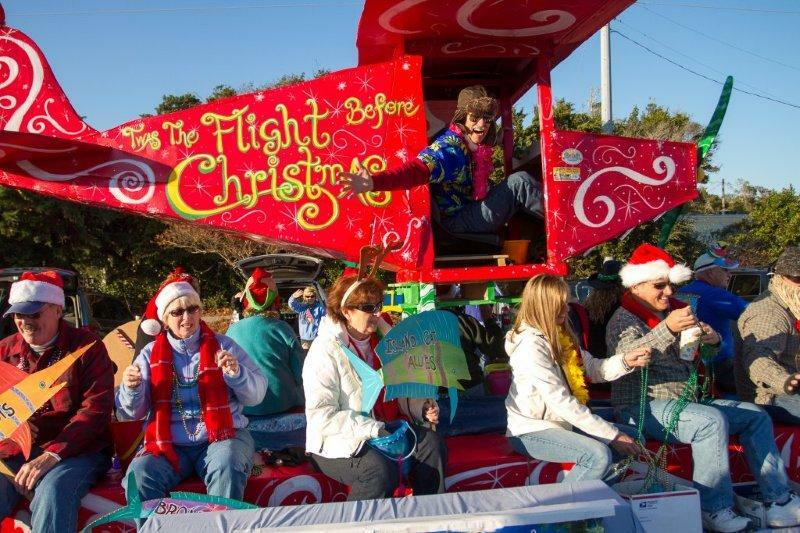 The parade will by held on Saturday, November 26th at 3:00pm. Several PH “float planners” met recently to put together preliminary plans for this year’s float. Volunteers are needed to help with float construction and collection of needed materials. We will be constructing this year’s float using RECYCLED MATERIALS and we need all members to assist us by saving your trash. If you are interested in helping out and joining the float building committee, please come out and join in the fun. You can contact Sue Stone at stonesend@gmail.com for additional information. You do not have to attend all session or even be available on parade day (but we hope you are). There will be plenty of work to do and it will be FUN!! Float workdays will be Sundays at noon and Wednesdays from 2-6pm. The planning committe will meet on Wednesday, October 26th at 7pm and the first work session will be Sunday, October 30th. Paint – spray paint and regular paint in Reds, Green, white, cream, yellow and some blues.
. ALL ITEMS SHOULD BE CLEAN AND DRY. Items can be dropped of at the November Phlocking, at the float building sessions, or by finding a Parrothead friend who is working on the float.